Great for outdoor landscaping projects, Treated Pine Sleepers (also known as garden sleepers in Melbourne) are essential in building retaining walls, or simply defining driveway or garden boundaries. Our sleepers are all treated to H4, which is suitable for most in ground applications, protecting against fungal decay and termite attack. Also available through our store are Retaining Wall Posts, which are the other required when building a retaining wall. 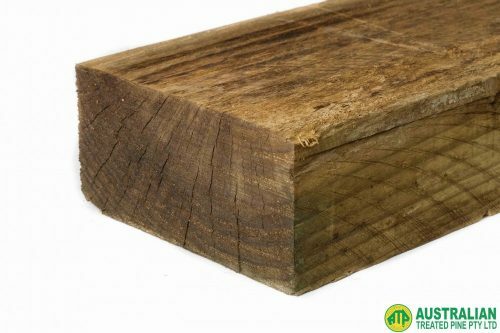 Our treated pine sleepers price is very affordable, so feel free to buy treated pine sleepers online through our store. Please note that we may not have your exact size requirements in stock at all times. If you require a number of exact lengths, you can always call us on 03 9305 2000 to confirm the availability.